The Puerto Rico District Export Council (PRDEC) is inviting the general public to a conference titled “Transcending Frontiers” on May 18 from 8 a.m. to 12 noon at the Polytechnic University in Hato Rey, Amphitheater L- 203. 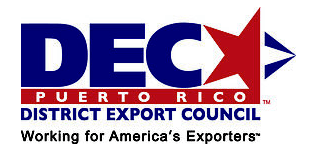 The Puerto Rico District Export Council is an organization made up of entrepreneurs, professionals from various sectors (banking, legal affairs, logistics, technology, education, among others) who are appointed by the Secretary of Commerce. Members, who serve in a volunteer basis, share their knowledge and experience in promoting international trade to local enterprises. There are about 58 District Export Councils that collaborate with the respective Federal Trade Offices. Also participating are representatives of federal and state entities related to foreign trade. For additional information call 787-749-4315 and 787-635-5680. Hey Buddy!, I found this information for you: "Conference on opportunities and resources for exporters". Here is the website link: https://newsismybusiness.com/conference-opportunities-exporters/. Thank you.